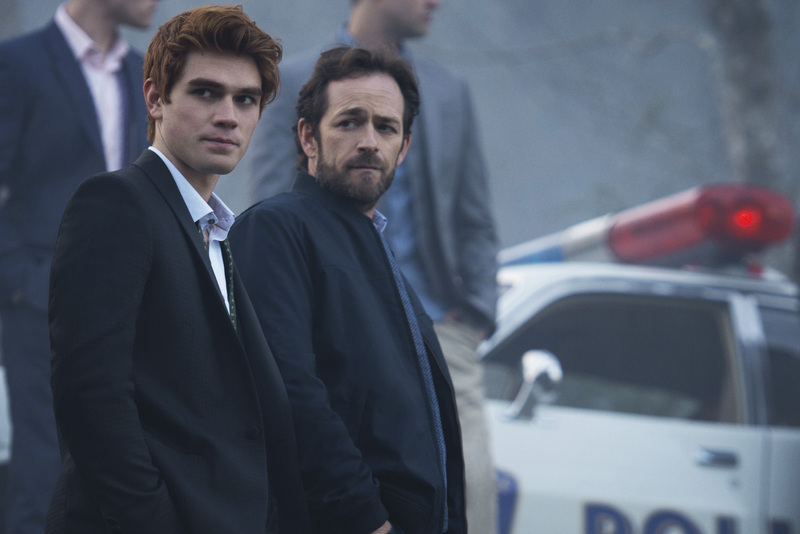 Riverdale creator Roberto Aguirre-Sacasa has opened up about the death of Luke Perry, confirming the actor's passing will be addressed onscreen through his character during an upcoming episode. Aguirre-Sacasa made the reveal during a new interview with ET, saying, "You know, honestly, we are, I think, all still in shock and are all still processing and grieving. We know that we have to address it in some way, but we're giving ourselves a little bit of time and space before we figure out the best way to honour him." The showrunner also said Perry "was, is, and will always be a big part of Riverdale," explaining that there are still some Riverdale episodes featuring Perry's character Fred Andrews, father to Archie Andrews, yet to air. As to how the show plans to address Perry's death onscreen, Aguirre-Sacasa said so far no official narrative decisions have been made. "We're kind of a family and when a loss like this happens, you carry it always," he said. "It changes and it hopefully becomes a little less painful as time goes by, but you're changed. "His spirit — which was so generous and wise and vivacious — we hope will infuse every episode, so in my mind, every episode for the rest of time on Riverdale will have a bit of Luke in it." As previously reported, Perry died on March 4 after suffering a stroke.